Golf-Lift has been making golf course superintendents’ and technicians’ lives easier for over 20 years. With undeniably precise and reliable products and an experienced, dedicated staff, the Texas-based golf course maintenance equipment company helps course staff nationwide keep grounds looking clean and beautiful year-round. We carry a wide range of Golf-Lift equipment. 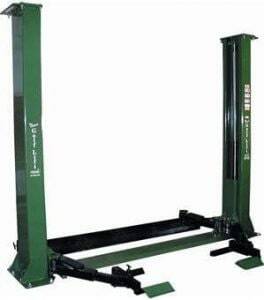 Click here to view the full line of Golf-Lift products. The Revels Turf & Tractor and Golf-Lift partnership has allowed us to provide clients throughout the Carolinas with superior golf course maintenance equipment. Contact us today to learn more. Our specialists are prepared to help determine the best products for your course.